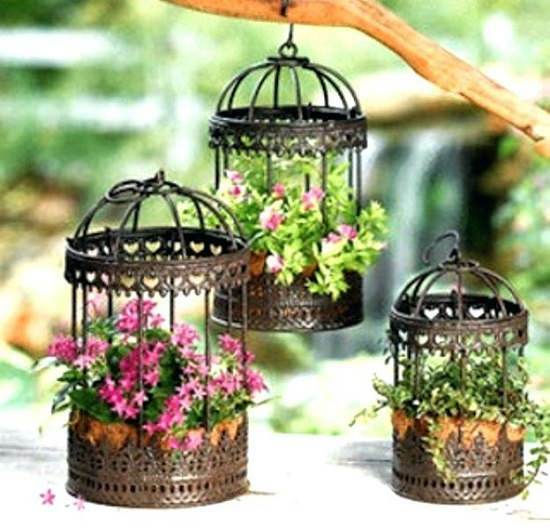 Utilize your vertical space well to create a birdcage with flowers and add colors through caged flowers in your garden. 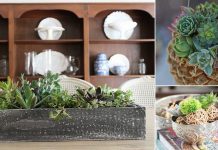 We are writing this article by keeping in mind that you have read the previous article on how to make a birdcage planter. If you haven’t, please read that first as this article is based on it. 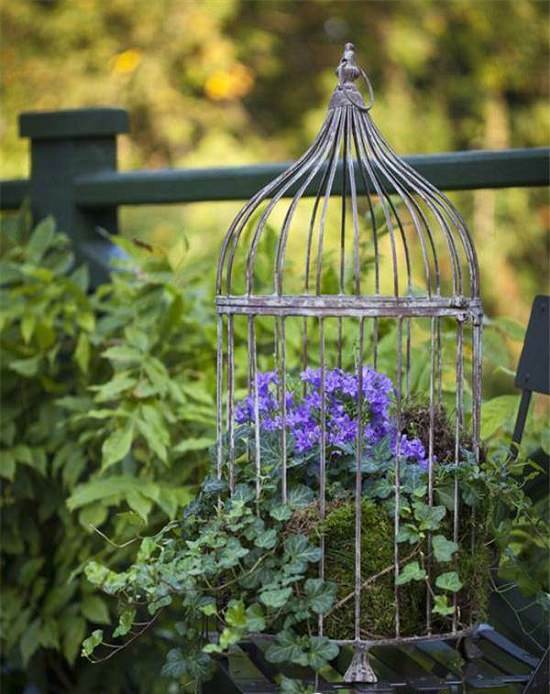 Step One: Before buying plants, consider how many hours of sunlight your birdcage planter will receive and how much wide and deep the cage is. Step Two: Instead of sowing seeds or planting the cuttings, buy plants from nursery, picking an established plant is a better idea. Step Four: Choose the color of flowers in a way that they must complement each other. Don’t use more than three colors of flowers otherwise they will look cluttered. Step Five: Fill the good quality potting soil in already lined birdcage. As the soil in birdcage will dry out faster, mix moisture retaining granules in soil and the slow release fertilizer. Step Six: Plant the upright plants in center and low growing plants on sides. 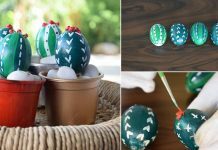 Carefully insert trailing plants from outside by doing a hole in lining with pencil or screwdriver, without breaking their root ball. Step Seven: Space the plants according to their growing habit. Plants like geranium, fuschia, miniature roses require more space between them. Step Eight: Sprinkle some soil to cover up the roots. You can place small pebbles on top of the soil, too. Pebbles will beautify it and save the moisture. Tip: Always water the caged plants with sprayer to avoid spilling of soil. 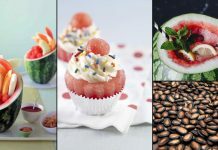 I have been wondering on what kind of trailing plants would work for the birdcage – thanks so much for the list!